Jordan Brand is set to celebrate Black History Month 2014 by releasing two colorways of the Air Jordan 1 Retro and one colorway of the Jordan Melo M10. 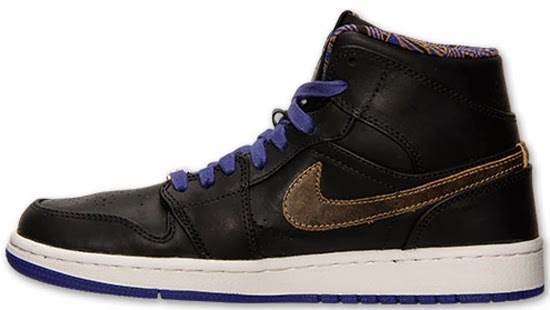 First up, the Air Jordan 1 Retro Mid Nouveau BHM. 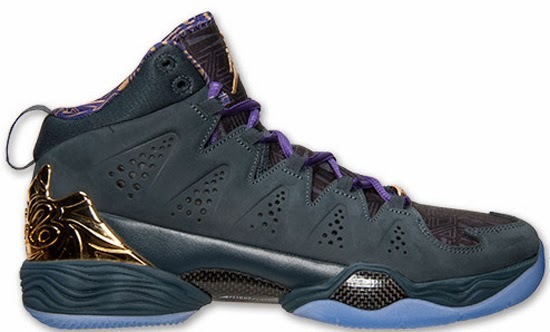 This pair comes in a black, metallic gold and court purple colorway. 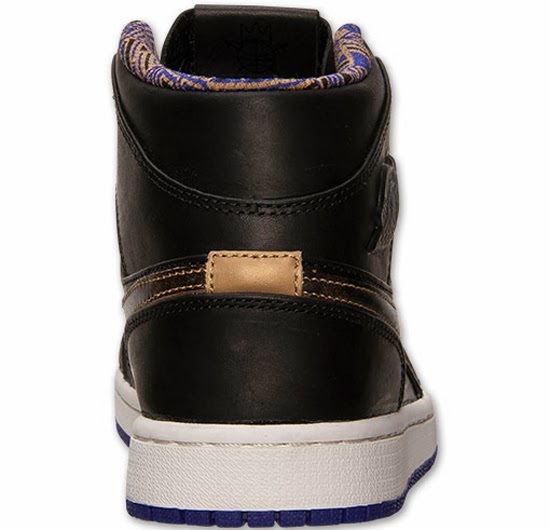 Featuring a black based vac-tech like upper with a metallic gold Swoosh on the sides, purple accents and a multi-color sockliner. 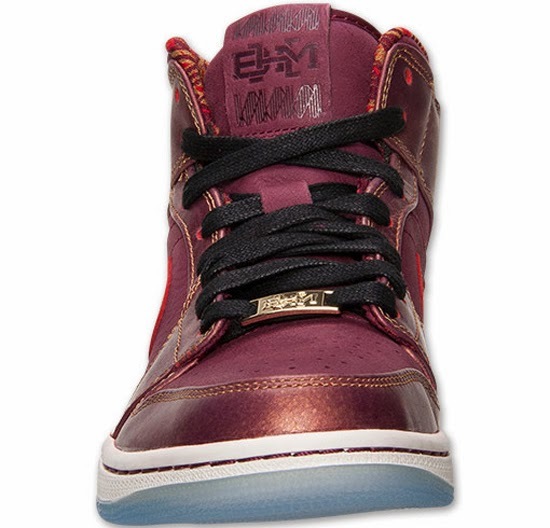 The "BHM" logo is found on the tongue tag. 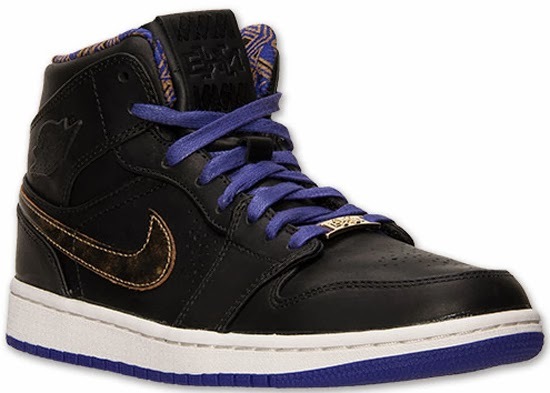 Second is the Air Jordan1 Retro Mid BHM. 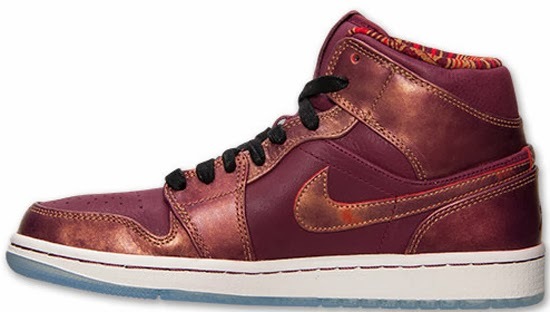 This pair comes in a deep garnet, deep garnet, metallic gold and white colorway. 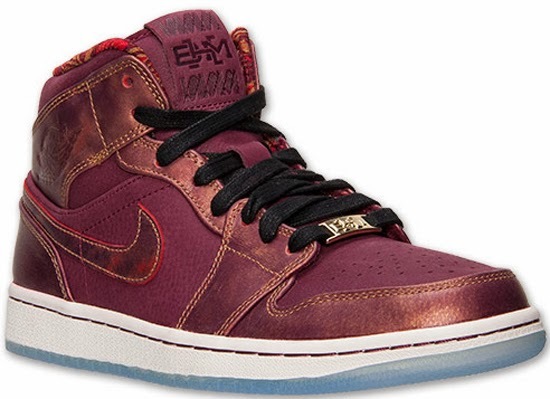 Featuring a deep garnet and gold based upper with a faded design throughout the gold parts. A multi-color sockliner along with a full icy translucent outsole finishes this pair off. 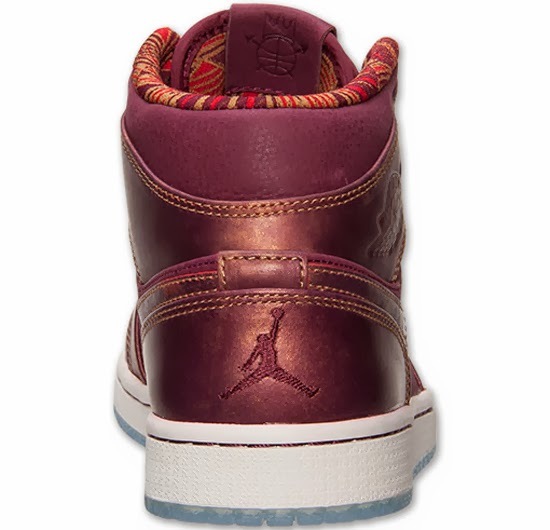 The "BHM" logo is found on the tongue tag. 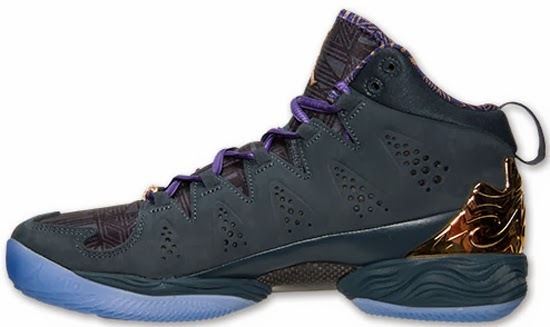 Third is the Jordan Melo M10 BHM. 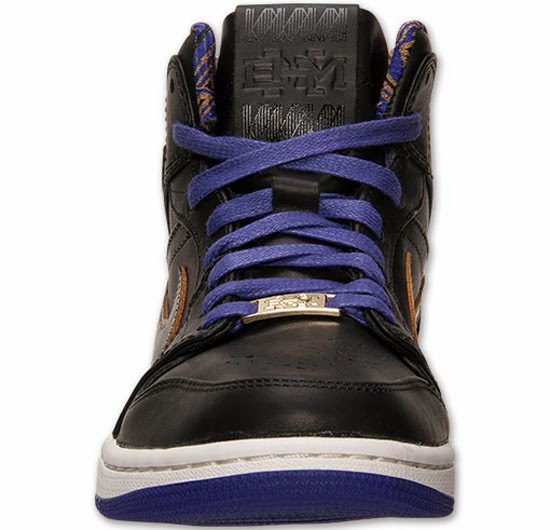 This pair comes in a dark magnet grey, metallic gold, black and court purple colorway. 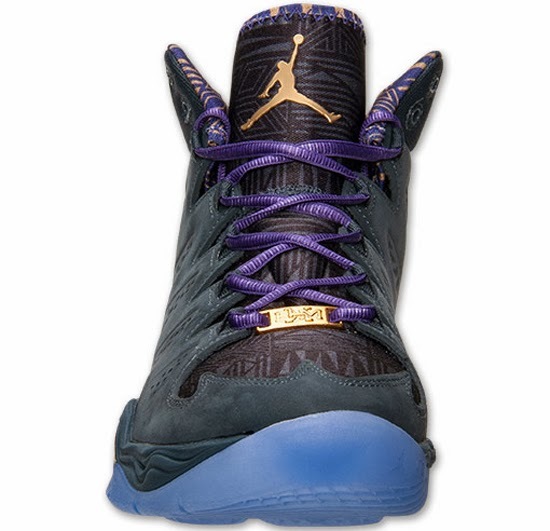 Featuring a dark grey based upper with black accents finished off by purple laces, a multi-color sockliner, metallic gold heel an a full icy blue translucent outsole. 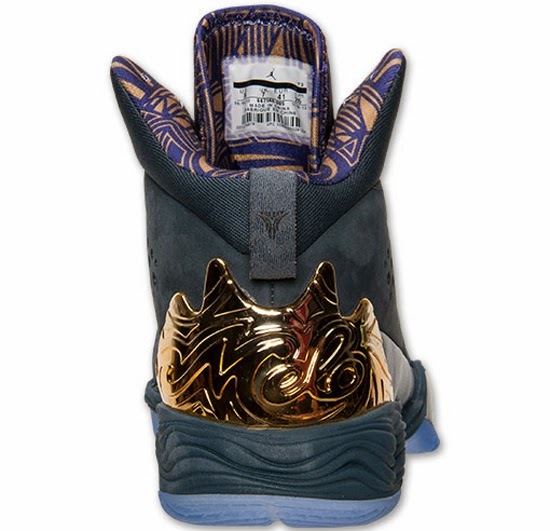 The "BHM" logo is found on the tongue. A limited release, look out for these at select Jordan Brand accounts worldwide on Saturday, February 1st, 2014. Retail is set at $130 for the Air Jordan 1 Retro Mid Nouveau, $105 for the Air Jordan 1 Retro Mid an $200 for the Jordan Melo M10. 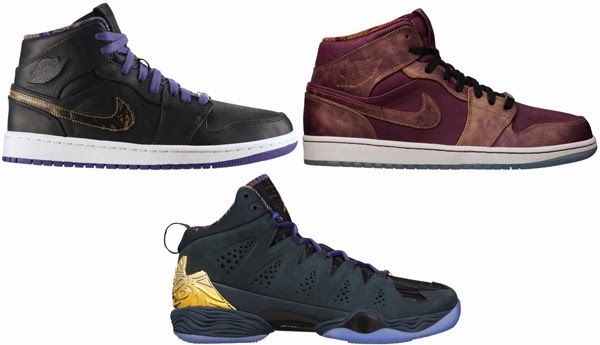 Enjoy the official images below of the "Black History Month" Air Jordan 1 Retro Mid Nouveau BHM in black, metallic gold and court purple, the "Black History Month" Air Jordan 1 Retro Mid BHM in deep garnet, deep garnet, metallic gold and white as well as the "Black History Month" Jordan Melo M10 BHM in dark magnet grey, metallic gold, black and court purple. If you're interested in picking any of these up when they release, check in with your local spots to see if they will be receiving them. 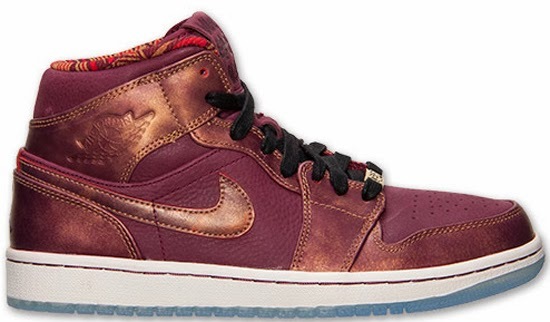 Those of you looking for the Air Jordan 1 Mid Nouveau now can, grab them from eBay here. 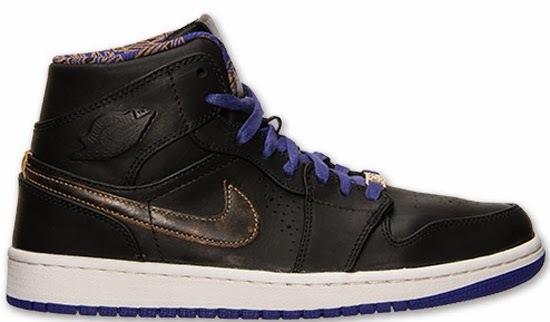 Those of you looking for the Air Jordan 1 Mid now can, grab them from eBay here. 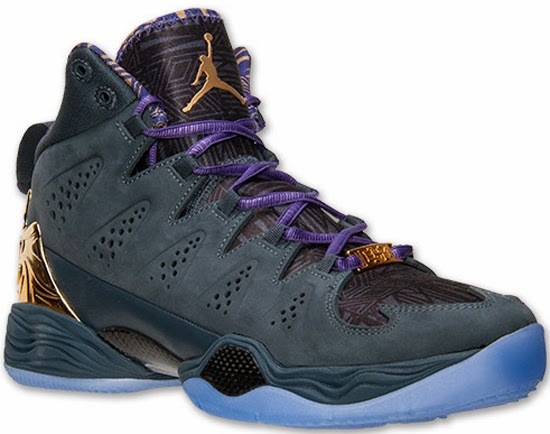 Finally, those of you looking for the Melo M10 now can, grab them from eBay here.